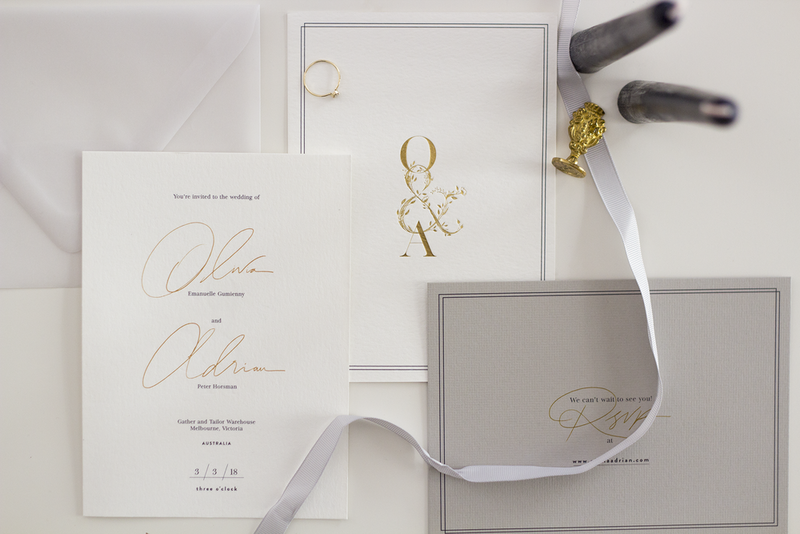 Wedding invites can instantly set the tone of your wedding. When you think about it, it's sometimes the one and only time that your guests will get a feel for your wedding before the actual event. IRL, I manage a lot of events at work and invites can speak volumes. So, you should definitely take a moment to think about how you'd like to portray your event. If you're struggling, keep reading to find out how I honed in on my style. I know it sounds cliché, but keeping a Pinterest board will help you keep a cohesive theme, colour scheme and vibe for your wedding. It'll also help inspire you with your own ideas; promise! The Pinterest board might also pave the way to finding your designer - or inspire you to design your own. I was really lucky because I've always loved Corina's design work, so I always knew I wanted her to design our wedding invites. I first e-met Corina a while ago when I first started blogging and she designed my very first logo! I remember it was a competition she was running and I entered on a whim. Back to the point; I knew Corina would be able to nail exactly what I was after, make things minimal but with just enough delicate beauty. Once you've got your ideal design, make sure you go to a printer you can trust. I'm a really visual person (and I love paper), so when we got stock samples and printing examples, I felt more confident in making my decision. Adrian and I researched so many places and emailed for so many quotes, it started doing our heads in! We settled for Papermarc, who weren't the cheapest or most expensive, but I felt like we were in really safe hands and they were local. Papermarc were so patient with me and my questions and were really prompt in communication. They also offered us options with gold foiling, digital printing and different stock types. The only gold foiling we ended up with was our letterpress logo on the front, the rest was gold digital print. It looks just as beautiful imo and we saved a pretty penny - not complaining! PSST: Have you seen our wedding featured on Hello May?